Viv is currently at the Department of Health and Human Services in the NDIS Transition area after three years at Melbourne City Mission. 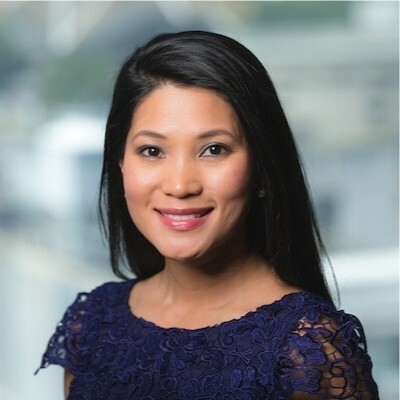 Prior to taking a career in the public service, Viv held roles at the ANZ Banking Group, AMP Asset Management and AustChoice Financial Services. Phong is a Vietnamese translator at Sunshine Hospital - Western Health. He has also been the Chairperson of the Ethnic Communities Council of Victoria, Vice President of the VCA and former President of VCA Vic. Andrew is a Senior Business Analyst at NAB. He plans VCA Vic's community-based programs and has carriage of the organisation's youth arm, including the Dual Identity Leadership Program (DILP). Kevin is a business partner at Silent Circle Investments. He has a strong background in welfare and social services project management and is responsible for VCA Vic's continued engagement with community, government and peak representative bodies. Kathy is a lawyer at the Australian Taxation Office. She oversees VCA Vic's governance and administrative related matters, including maintenance of internal policies and procedures, record-keeping and ensuring compliance with legal and regulatory requirements for VCA Vic initiatives. Jenny is a Clinical Pharmacist at Barwon Health. She is responsible for VCA Vic's financial administration and oversees financial reporting, financial record keeping and cashflow positions. Celia is a Communications and Project Officer at the Department of Premier and Cabinet. She is a founding member of MYAN Australia Youth Ambassadors Network and a board member of Western Chances, the Dual Identity Leadership Program (DILP) and Advisory member of National Harmony Alliance. Angie is a Business Development Manager at VicSuper and has in the past worked as financial planner at Westpac and NAB. She builds and maintains VCA Vic's key relationships with government, community leaders and peak body representatives. Claudia is an analyst at the Department of Economic Development, Jobs, Transport and Resources. She manages VCA Vic's strong relations with community and government and is also Engagement Director of the Dual Identity Leadership Program (DILP) Steering Committee. Albert is a supply planner at NBN Australia. He has been Vice President of the Vietnamese Student's Association and Project Coordinator for VCA Vic's Museum Project. Minh is a psychologist at the Department of Education and Training. She is also an Honorary Fellow at Melbourne University, where she is scoping the development of a VCA youth program for Vietnamese aged 12-18 years within Victoria. Trang is a case manager at Vincentcare Victoria and has in the past worked for the Department of Health and Human Services. Alongside her role as Assistant Secretary, she is also the President of VCA Vic's Women's Committee. Dinh is a Stakeholder Engagement/Skill Reconnect Coach at Community Plus. Prior to this, Dinh worked at AMES Australia as a Senior Vietnamese Cultural Ambassador/AMEP counsellor. He works closely with local communities, particularly in the establishment of outreach English classes for Vietnamese migrants.